As parents's, there is nothing more important to us than taking care of our babies, no matter how old they are! We hate seeing them hurt, and we hate knowing that something that we can't see might be harming them! So much of our health is determined by how and what we eat. Though we recognize the importance of good nutrition, our busy lifestyle often holds us back from making healthy eating a top priority. And as parents, we really have our work cut out for us. It's hard enough to get kids to eat healthy but the invasion of processed food, junk food and fast food everywhere we look has only made our jobs tougher. For picky eaters vitalizing protein is good to make smoothies to get extra fruit or vegetables into little ones. You can also use it as a way to hide crushed supplements like Alfalfa, vitalized immunity, NutriFeron and other pills. Contains 23 vitamins and minerals and 23 grams of protein. In the smoothie you could hide spinach, avocado, flax and other seeds for omegas and fiber, a variety of fruits and vegetables.Children love the taste of our smoothies, peanut butter balls, and bars and its so nice knowing they are getting a healthy snack/meal in their growing bodies. Often children can become moody/cranky when they have too much sugar/carbs and not enough protein. My son LOVES his Shaklee "chocolate milk" every morning!!! Just some Almond Milk with our chocolate protein! 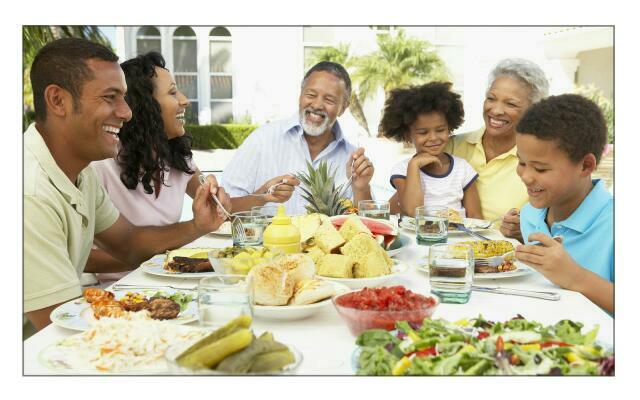 Eating at Home May Help Reduce Type 2 Diabetes Risk. Harvard researchers claim home-cooked meals may help prevent type 2 diabetes. They found individuals who ate about eleven to fourteen homemade lunches or dinners a week had about a 13% lower risk of developing type 2 diabetes than those who ate fewer than six homemade lunches or dinners per week. The researchers also found that people who ate at home more often were slightly leaner. Study author Dr. Geng Zong notes, "We need more studies to demonstrate whether preparing meals at home may prevent risk of diabetes and obesity, and how." Fast Food May Lead to Poorer Bone Development. Living where there is easy access to fast food restaurants may affect bone development during early childhood. An analysis of data concerning over 1,100 children revealed newborns from neighborhoods with a higher concentration of fast food outlets had lower bone mineral density and bone mineral content than those born in areas with fewer fast food options. The research team also found children living in areas with a greater availability of fresh fruits and vegetables had higher bone mineral density at ages 4-6 than those living in areas with less access to fresh produce. Don't Replace Saturated Fats with Processed Carbs. diet, while increasing your intake of healthier fats and whole foods. The American Heart Association recommends consuming no more than 1,500 mg of sodium per day. They also warn against consuming too much of the following foods that can be packed with sodium: rolls, bread, deli meats, cheeses, sauces, poultry, canned soup, and fast food. It’s time for solutions for ourselves and for our kids. Keep them healthier naturally, also keep them safe from toxins in the home naturally and so much more.